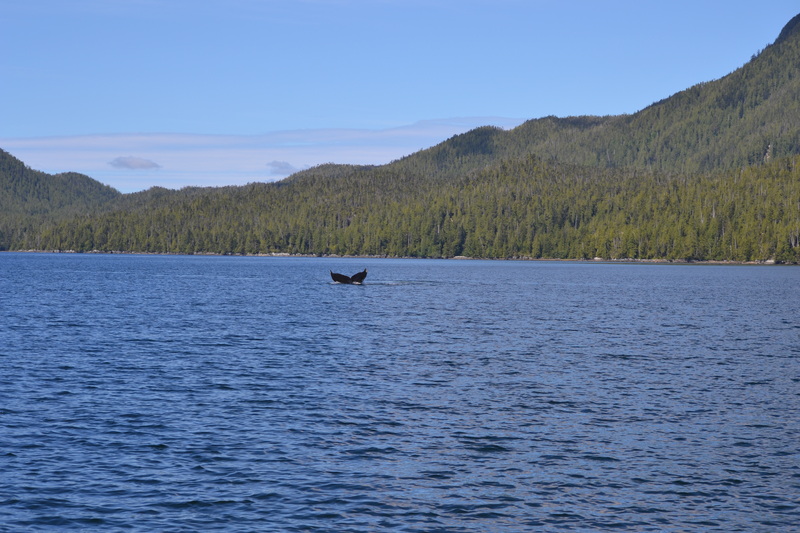 The dream Inside Passage, sunny, calm, narrows, passages, channels, gentle rapids, and steep faces. 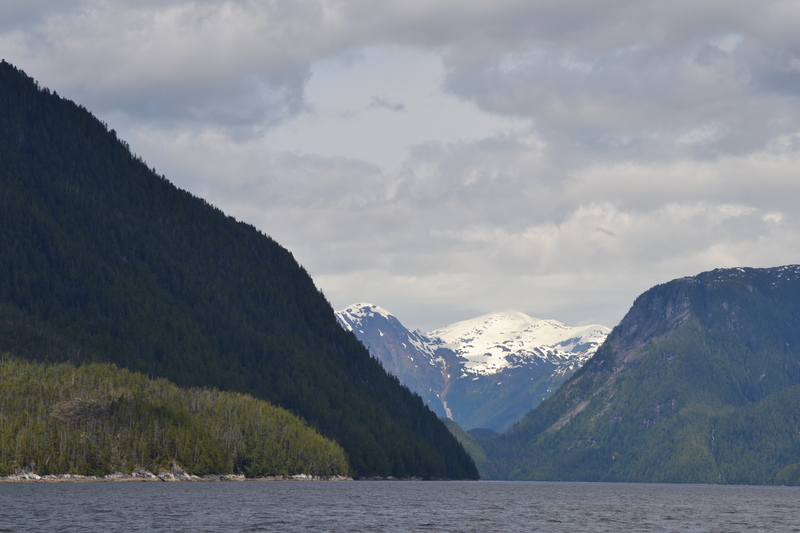 Snow in Fjord Land on the highest mountains above 3000 ft.
Again a school of Dahl Porpoises, the friendly dolphins, joined the boat for a few minutes and also a humpback came to give us a tail salute. All in all the perfect day on the water. The anchorage is not well sheltered so we have 130ft of chain out to hold our big anchor in complete safety. This chain extension done in preparation for this trip has already paid for itself, just in one good night sleep ! 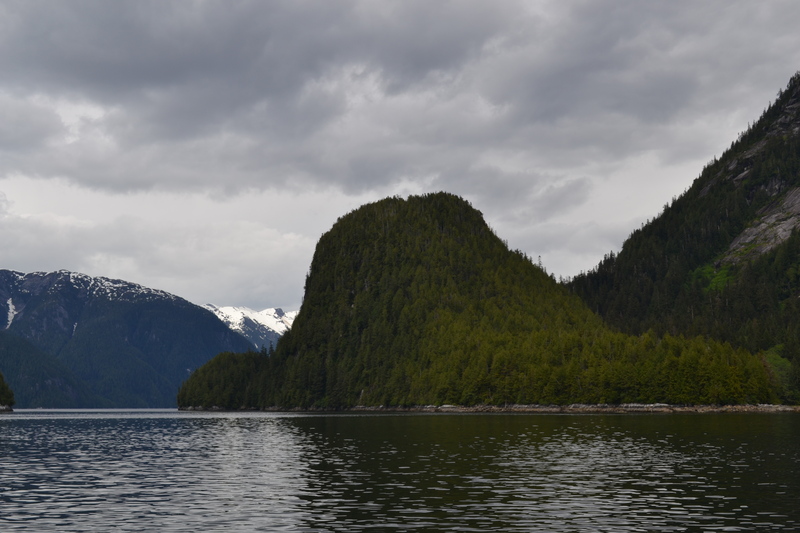 We came up the Reed Passage and the Finlayson Channel which means that we avoided the Ferry and Cruise Ship traffic so we only saw four boats all day. 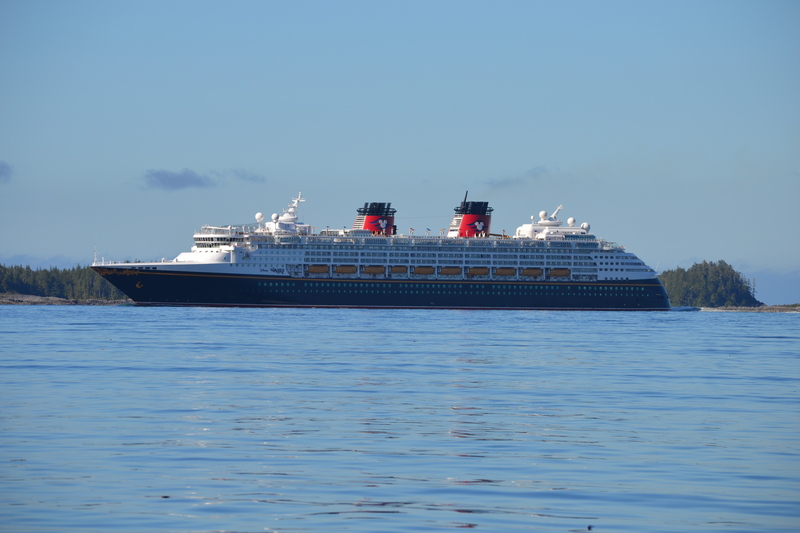 Two Yachts, a fishing boat, and the “Disney Wonder” a big cruise ship. 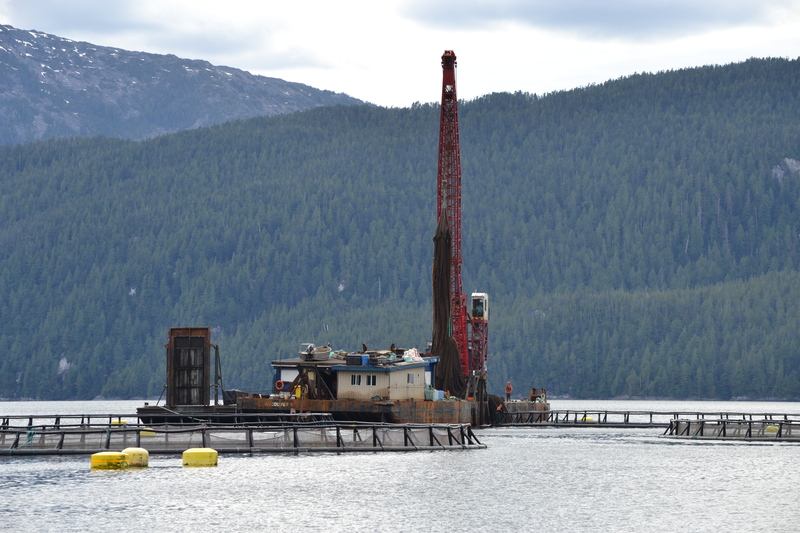 We passed a few very high tech salmon farms and saw a crane lifting a net of amazing size. This entry was posted in The Log and tagged Disney Wonders, Fjordland, Goat Cove, inside passsage, Reed Passage, sailing. Bookmark the permalink.